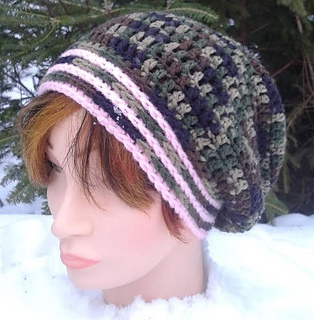 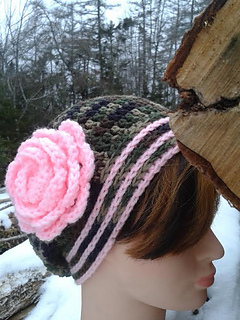 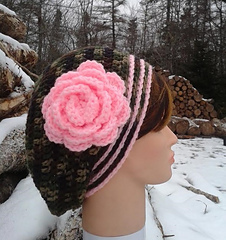 A trendy and fashionable ladies camouflage slouch hat with rose. 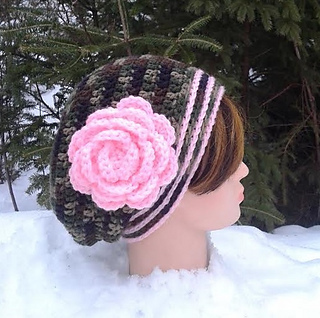 A fun pattern to make using worsted weight yarn. 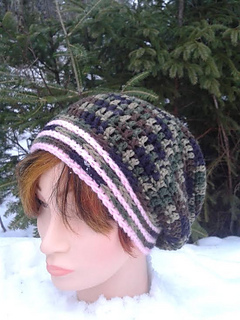 Materials are specified in the pattern and are readily available in most craft or department stores.